Join the league of 13,899 Python enthusiasts today! Become a Python Professional with this interactive Python Programming Tutorial. Big Data - analysis, scraping, structures, visualization. 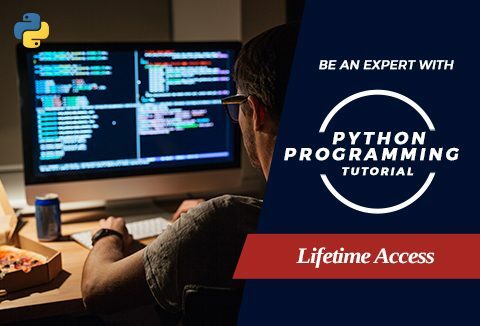 Advance your career with python. Enroll Today! Perfect course for total beginners, as well as pros. All the learnings covered in order to master Python. Available on all mobile devices. 45+ hours of online video learning. Learn by doing it yourself - build your own Flappy Bird game. Lifetime access to watch and rewatch at your own pace. 30 days money back guarantee with no questions asked. What Can You Learn With Python Programming Tutorial? Python programming is one of the most demanded skill sets in today's job market, and for good reason. Python allows you to do just about anything you can think of; web development, data analytics, game development - even controlling robots! It is an online course which requires an internet connection. It is not downloadable. Unlimited lifetime access to all of the course materials is provided. Access is permitted on only one device at a time. You must redeem your account within 7-days of purchase. Upgrade yourself with Python Programming Tutorial for better jobs, career advancement or starting up your own business. DealClub Members Get It For $21 Only!